Chronotopia gets out into the countryside! It’s been a while since the end of the Kickstarter so I thought it would be appropriate to share what we’ve been up to since then. Happy holidays to all of our fans! As in previous years, I’m looking back to all of our activities in order to close a new chapter and move forward. 2016 is a special year for us because it’s our first year as a full-fledged visual novel creating company, which implies some changes. Overall, we had to integrate quite a few formalities (the joy of doing paperwork) and it wasn’t always that easy! * Note: I use Adobe Photoshop CS6 for creating backgrounds and take about a week to complete one depending on complexity. Last time I talked about how I came with Chronotopia’s concept, this time I will explain how I selected Donkeyskin as the fairytale I was going to rewrite. Beware, it is strongly advised that you’ve played the demo beforehand not to spoil the surprise and to understand better what follows. If it’s not the case yet, I warmly recommend that you go take a look! It’s been a week since Chronotopia’s launch on Kickstarter and we’ve already reached 3 000€! It’s the perfect timing to come back to how the demo was made and evoke the content that’s planned for the full game. And as a good leader should set an example, I’m starting with my part: the writing! Beware, it is strongly advised that you’ve played the demo beforehand not to spoil the surprise and to better understand what follows. If it’s not the case yet, I warmly recommend that you go take a look! The visual novel Chronotopia on Kickstarter! Here we are, it’s the big day: Chronotopia is now officially live on Kickstarter! 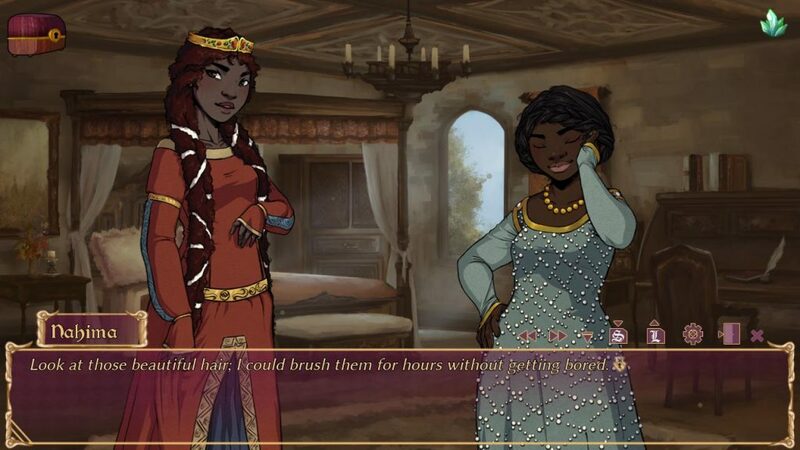 Chronotopia is a dark rewriting of the fairytale Donkeyskin : the young princess lives a peaceful existence in her castle, enjoying her days with her best friend and confidant, Nahima. That is until her father, gone mad since the death of his beloved, decides he should wed the princess instead. Donkeyskin has to find a way to escape from this fate, but how? She doesn’t know it yet, but it’s the beginning of a long nightmare that will take her to the edge of madness. Inspired by a wide range of influences (literature, anime, videogames), Chronotopia is a unique and more mature take on a forgotten fairytale that includes many twists and choices that affect the ending: Donkeyskin can either escape with her servant, become a fairy, or die a horrible death. Multiple times. It’s up to you to save…or doom her. Kickstarter launch date and Basiscape partnership! The tension is going up a notch: Chronotopia’s demo is finally almost ready! Since the Patreon version, we’ve listened to the various feedbacks from or testers and changed the game accordingly while adding the last elements necessary (as well as fixing the last bugs). We’re really just missing an extra pass of proofreading. 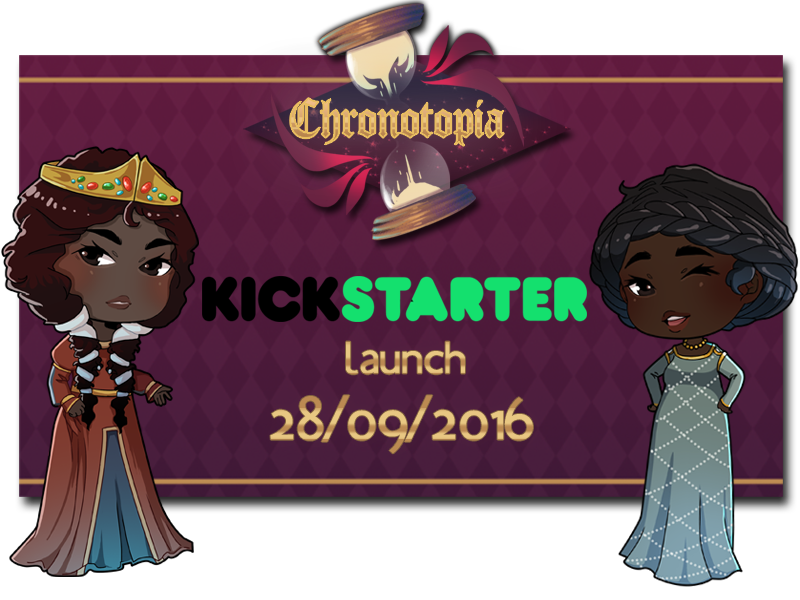 So it’s the perfect time to announce the launch date of Chronotopia’s Kickstarter: we’re aiming to release it the 28th of September. Once again, time is passing by too quickly! 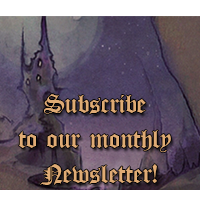 Luckily, we’re not stagnating for all that: Chronotopia‘s demo is in fact available for patrons pledging 10$ per month since a little more than a week. There are still 2 illustrations missings, as well as the 3D camera and the last element of gameplay, to be able to publicly release the definitive version but the game is still playable from start to finish. So, if you’re motivated and ready to help us, don’t hesitate to send a mail to be able to test Chronotopia and report to us both gramatical mistakes and bugs! The end of the tunnel?!? Truly, things happen to me all the time! Back from Japan Expo, my laptop suddenly failed me, which puts me in a difficult position to finish Chronotopia‘s demo (here’s a summary of everything we have so far) and launch the Kickstarter campaign. However, there is no way I’m going to take forced vacations, I will do my best to minimize the damage. I will simply be even slower than usual to reply to messages and I apologize in advance for that X).